The second lecture available for free is one of the highest rated by attendees of this year's iPhone Games Summit, 'From Zero to Time Magazine: App Success' from Critical Thought's David Whatley -- also the President and CEO of HeroEngine creator Simutronics. Whatley explains in his lecture overview: "Making an iPhone App is easy. Making a successful business from it takes more than technical know-how. This talk takes you through the journey of the geoDefense line of iPhone games, how they were designed, developed and promoted to take them from obscurity to [an inclusion in] the Time Magazine 'Best of Everything 2009' Award." Elsewhere in the in-depth iPhone Games Summit talk, you'll "gain insight into the pivotal fundamentals you have to get right in order to have a shot at the top of the rankings and financial success. The terrain is changing fast, and here is where you'll learn what things to focus on and what things to ignore." 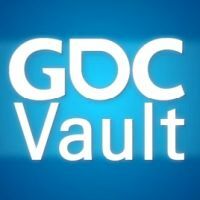 In addition to these lectures, GDC Vault's free videos section includes multiple, previously-announced selection from Game Developers Conference 2010, including talks from Zynga, Ernest Adams, and NCsoft, plus a newer set of highly rated lectures featuring 2D Boy's Ron Carmel and Bungie's Brian Sharp. The free recordings available are a fraction of the content currently being flowed into the GDC Vault. Full GDC Vault access, including synchronized video recordings for over 200 of GDC 2010's sessions and hundreds of historical video and audio recordings, is available to GDC 2010 All-Access Pass holders, as well as All-Access Pass holders for other GDC events during the year. In addition, development studios and schools who sign up for GDC Vault Studio Subscriptions can receive access for their entire office or company. More information on this option is available by contacting Suzanne Cunningham or viewing an online demonstration. Individual Vault subscriptions not tied to All-Access passes are being considered for a 2011 launch.